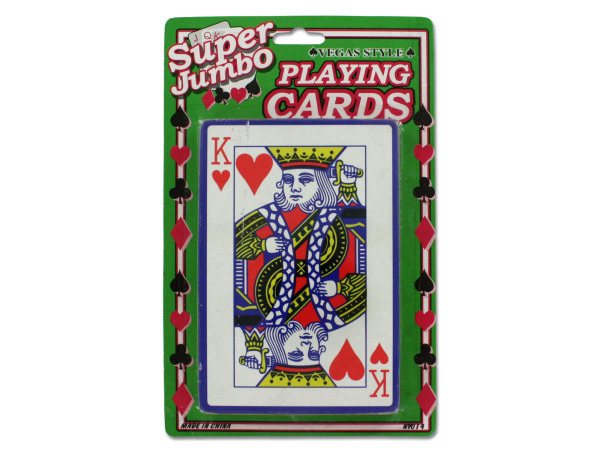 These Vegas style playing cards are extra large and perfect for parties. These plastic coated cards have geometric patterned backs in blue and red. The decks come with 2 jokers. 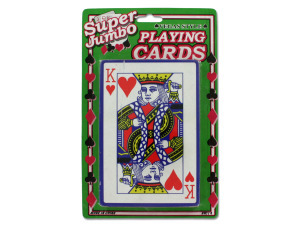 They come boxed on a blister card with hanging hole. The cards measure 5 5/16" x 3 1/2".